Today, dentures continue to be among the most popular tooth replacement options available. Then again, there are still a few people who are a bit hesitant about getting dentures due to several reasons such as the aesthetic quality of the false teeth, the time required for the entire procedure, as well as the inconvenience of wearing them. With the advent of more advanced technology used in creating your dentures, all of these concerns can now be addressed. How? By using state-of-the-art Flexible Dentures. These highly innovative tooth replacement options are supported by a translucent material that allows the normal tone of your tissues to appear through. This allows the dentures to precisely match with the colour of your gums and surrounding tissues. As such, Flexible Dentures can look just as natural, helping you gain back that confidence in your precious smile. Compared to other tooth replacement options available, Flexible Dentures require less preparation. Creating these dentures eliminate costly and time-consuming preparatory work without compromising the quality of your dentures. Getting Flexible Dentures does not require invasive dental procedures that is why the time you spend at the dental clinic is significantly reduced. These dentures are very lightweight and thus, very convenient to wear and easy to get used to. Also, despite not having a metal component, they are completely strong and stable. In addition, these are made of highly durable materials, making Flexible Dentures a virtually unbreakable and long-lasting solution for your missing teeth. Experience the advantages of having Flexible Dentures. Consult your denture experts here at West End Denture Clinic to explore the options that you have when it comes to replacing missing teeth. We can provide you with state-of-the-art denture solutions so that you can gain back the full functionality of your bite and utmost beauty of your smile. 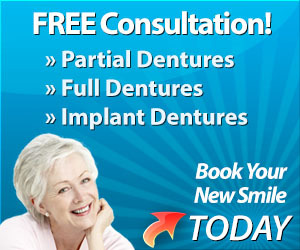 Call us today on (07) 3844 0944 or simply book your appointment online to claim your FREE denture consultation. 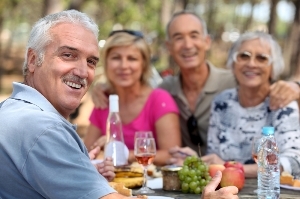 Denture Care Tips From ExpertsAre You Suited For Implant Dentures?